Joie! It’s Macaron Day! Today, enjoy a free petite pastry from 16 bakeries across the city. Macaron Day NYC was founded in 2010 by famous confectioner, François Payard and coincides with Jour du Macaron in Paris, France. Delight in the almond joy of the macaroon at Almondie Bakery, Bouchon, of course the Macaron Café. 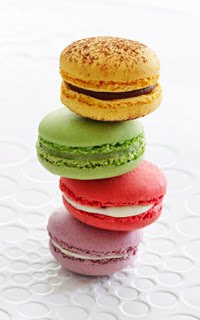 Plus, today, a portion of each bakery’s sales of macarons go directly to support City Harvest.